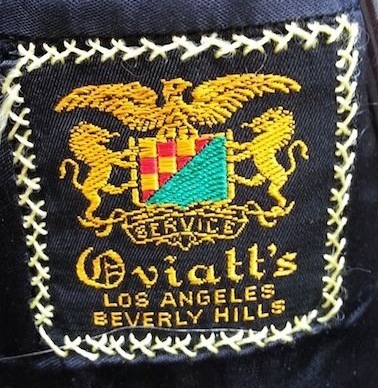 I’m always looking for Oviatt items and here’s a jacket that has been listed on EBay, with bids starting at $149.99. And not just any jacket. This one was tailored for future President Lyndon Johnson. 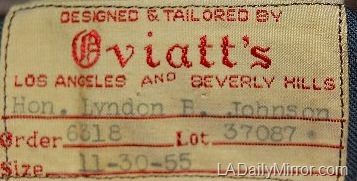 For the record: As Wayne Selover points out, the EBay listing took the LBJ Oviatt’s label from an online photo gallery. In other words, we were apparently quoting ourselves. Thanks, Wayne. We should read more closely even if it is Thanksgiving morning! Nov. 28, 1955: Sen. Lyndon Johnson (D-Texas) visits Los Angeles to address a convention of hotel executives. And this item sold for $900. A little scrounging in the Daily Mirror’s archives reveals that this jacket was from the same order. We can only wonder what other LBJ treasures from Oviatt’s are waiting to be discovered. 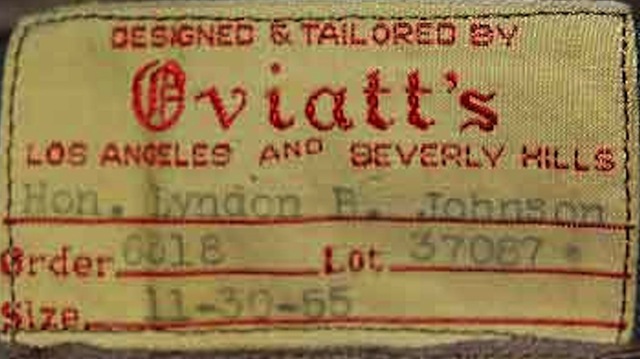 This entry was posted in Downtown, Fashion, Found on EBay and tagged #Oviatt's, 1955, fashion, Lyndon Johnson. Bookmark the permalink. That LBJ tag isn’t from this jacket… And I’m pretty sure he didn’t wear a 42 short. Ouch. I should have read more carefully. Thanks! LBJ was 6’3″ or 6’4″ so he likely wore a size 46 or 48 long.